Hydatid disease is a serious human health concern, caused by cysts of the tapeworm parasite Echinococcus granulosus. The tapeworm occurs in dogs and occasionally in other carnivores, with the intermediate life cycle stage (the ‘hydatid cyst’) forming in many warm-blooded animals animals as well as in humans. This cystic stage causes a disease known as hydatidosis or echinococcosis, for which there is no simple treatment. Correct management and worming of dogs is the key to control of hydatids. Hydatid disease is a serious human health concern, caused by cysts of the tapeworm parasite Echinococcus granulosus. The tapeworm occurs in dogs and occasionally in other carnivores, including dingoes, foxes and cats. The intermediate life cycle stage is the ‘hydatid cyst’, which can form in many warm-blooded animals including sheep, cattle, pigs and kangaroos, as well as in humans. This cystic stage causes a disease known as hydatidosis or echinococcosis, for which there is no simple treatment. Although the adult tapeworms are only about five millimetres long, hydatid cysts are commonly several centimetres across. Occasionally they can be the size of a football, especially in humans. If a large cyst is located in an area of the body with rigid boundaries, such as the brain or lungs, the consequences can be serious. Tapeworm eggs are very sticky and quite resilient. They can stick to the dog’s coat and transfer to the hands of humans when patting the dog. If proper hygiene is not practised, these eggs may then be ingested. Once ingested, the eggs can develop into cysts.They can also be carried by flies, beetles, footwear, clothing, wind and water. Eggs can survive freezing for a year and remain infective for six months in cool moist conditions such as on pasture. Under hot, dry summer conditions they may only last three weeks. Intermediate hosts are usually herbivores, especially sheep, but omnivores such as pigs and humans can also be infected. Infected dogs show no signs of infection. Also, the eggs passed in the faeces are too small to be seen without special filtering and magnification. Because the cysts are usually slow growing, infection in people may go unnoticed for years. Symptoms usually reflect the size and location of the cysts. Echinococcus tapeworms and hydatid cysts occur worldwide. In Australia most cases are recorded from sheep growing areas with Western Australia second to New South Wales. Infection in humans can only be treated by surgical removal. Children are particularly at risk because of their close contact with pets and possibly less attention to hygiene. 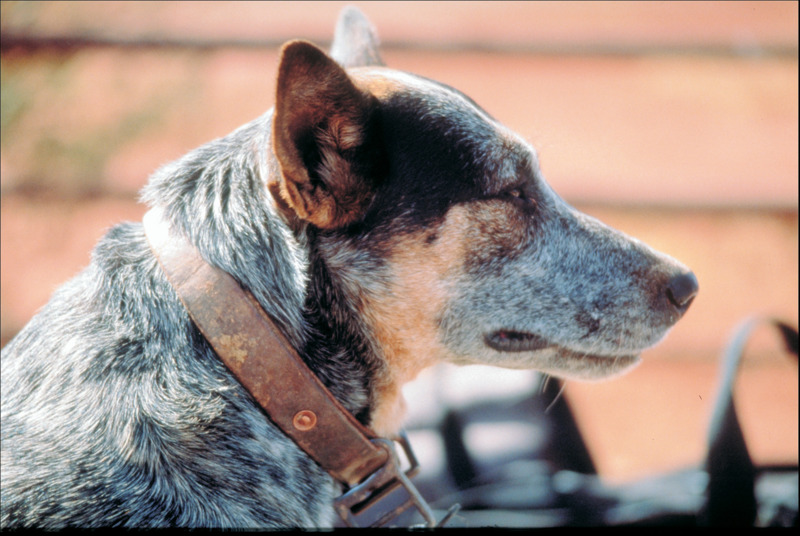 Surveys in regions with a high incidence of human cases consistently reveal a high prevalence of infection in wild dogs, kangaroos and wallabies and feral pigs. Dogs used for hunting feral pigs have a relatively high rate of infection, especially in the bushlands around Perth. It appears that the separation of wildlife and domestic animal strains is breaking down and that a single strain may be emerging. It is also now known that foxes can carry the parasite. Do not feed offal to dogs or allow them access to animal carcasses. Treat dogs regularly (at least every six weeks) with a wormer which contains the active ingredient praziquantel. There are several products available—consult your private veterinarian for more advice. Worming with praziquantel every four weeks will also prevent Cysticercus ovis or sheep measles, which is not a public health issue but can result in condemnations of carcasses at abattoirs. Always wash your hands with soap and water after handling dogs.